"fans of Moffat rebutted by labelling critics as being overly attached to the Russell T Davies era." Yes. For the most part they are beings completely lacking critical thinking skills. There are a lot of people with poor taste out there. See: the Sherlock fandom. Sadly yes, he has fan. Crazy fans that support him and worship the ground he walks on. Swing by /r/doctorwho and /r/gallifrey if you want to vomit blood. yup lots of people who got into who during season 5 and don't have anything to compare it to lots of white boys who think amy is hot. This makes me so glad that the white boy I know who got into it s5 got so obsessed with the show he watched old!Who too and is a Sarah Jane fanboy. when I meet a hipstery looking boy who says he likes doctor who I try not to get excited because I they usually love moffat and I am just going to want to argue with them. I think that people who started watching dw during Moffat's era and people who started watching dw during RTD's era fell in love with the show in different ways and for different reasons. 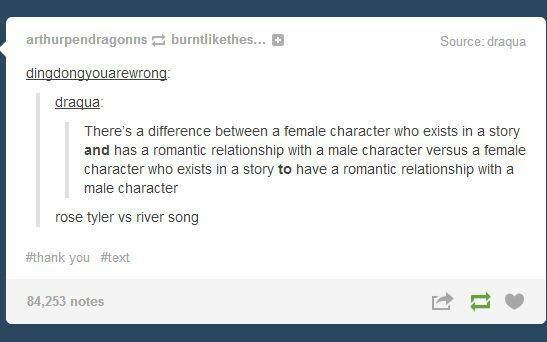 And from my experience, the ones who fell in love with it during 11's era more often than not end up being Moffat fans who genuinely love the episodes he's written and approve of his plotlines/dialogue/character development. Admittedly this is part of the reason I always recommend starting with S1 cause -apart from S1 being the overall superiour introduction- ppl who start watching with Moffat's Who often develop a weird idea of what kind of show DW as a whole is. Moffat's version is just so different than everything before it while RTD at least feels like a natural progression from the classic show. So if they enjoy RTD and Moffat pisses them off there's at least a chance that they might like the Classics as well to my experience. I know a 17 year old who worships everything he does. She even replied to a thread on FB about this study talking about how it's a show about a man, how can this test be valid etc. 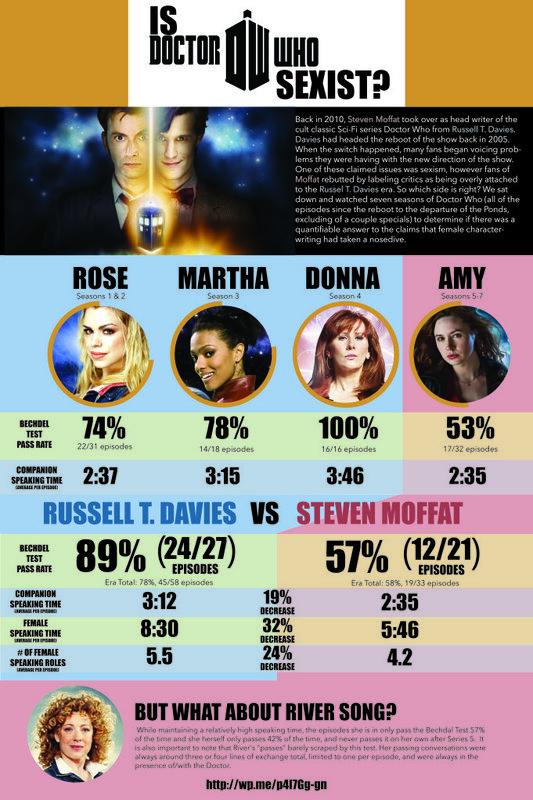 Nevermind it did very well with Martha and Donna. I'm chalking it down to her teenage mind as she's very sensible usually.